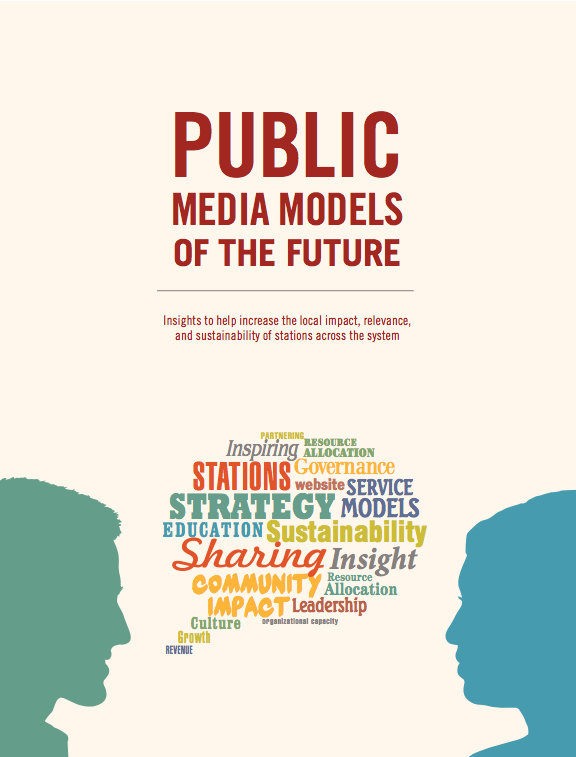 After months of intensive research and collaboration with executives from around the PBS system, PBS and CPB produced a 50-page report outlining Public Media Models of the Future. The report was originally published last November as a joint effort between Ted Krichels, CPB's Senior VP for System Development and Media Strategy and former General Manager of Penn. State Public Broadcasting, and Stephen Holmes, PBS' Director of Strategy. 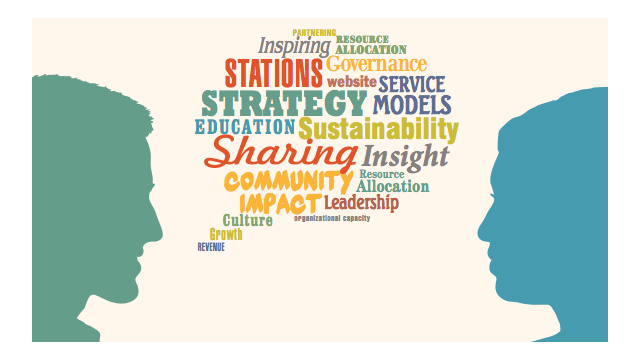 Using case studies to explain what has worked in the past for stations, the report outlines eight service models stations can implement to better serve their communities. These service models are divided among two categories; four models cover community impact, and four cover education. The community impact models include efforts such as: partnering with other local organizations to address community needs; go beyond broadcast to engage wider audiences in the community through events; airing more local news and public affairs programming; and collaborating with other stations on productions (think WNET's Arts Initiative). In the education realm, the report identified four areas where stations implement sustainable local service models: delivering enhanced learning services to grade school students and families by means of online courses, homework hotlines and virtual labs; offering lifelong learning opportunities through programs such as GED courses and the adult education programs at KET; providing teachers and caregivers with the training they need to better equip students with the skills they need; and offering workforce training to those seeking to enhance their job readiness.